What are the benefits of investing in Indian Stock Market for NRIs? NRIs are confused about whether they should invest in the Indian stock market or not. NRIs (Non-Resident Indians) often have a question which causes a whirlpool of thoughts in their mind. They are confused about whether they should invest in the Indian stock market or not. Moreover, if they are allowed to invest then what are the benefits which they would get on these investments? If you too have the same set of questions in your mind, then here are the possible answers to all your questions. Should an NRI make investments in Indian stock market? Yes of course! As an NRI, you should invest in Indian stock market if you are looking for good returns with a lot of investment options such as deposits, direct equities, Alternative Investment funds, derivatives, government and corporate bonds, PSU (Public Sector Undertakings) securities, ETFs (Exchange Traded Funds), mutual funds, etc. Are NRIs allowed to make investments in the Indian stock market? Yes under FEMA (Foreign Exchange Management Act), 1999 and PIS (Portfolio Investment Scheme), NRIs are allowed to make investments in the Indian stock market. For this, you need to have a PAN card, an NRE (Non-Resident Rupee) or NRO (Non-Resident Ordinary Rupee) bank account and PIS permission letter issued by RBI (Reserve Bank of India) for acquiring direct equity from Indian stock exchanges. 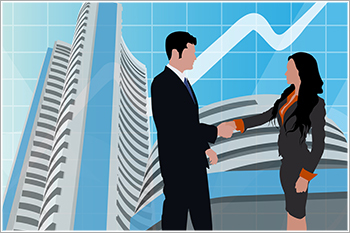 Once you have all these mandatory pre-requisites fulfilled, you can easily make investment directly or indirectly in the different investment avenues of the Indian stock market. What are the benefits an NRI could get upon investing in the Indian stock market? Higher returns from promising investments: India is one of the fastest growing economies of the world and the Indian stock market could be seen reflecting the growth statistics. While the other stock exchanges of the world do not produce such promising figures due to challenges, Indian stock market is still going up with a stable growth rate. With the growth in different economic sectors, the market capitalization of the Indian stock market has been seen in higher spirits. This ensures a better future with higher returns of investment. Higher interest rates: India is offering a higher rate of interest on different investments than most of the countries in the world. A higher rate of interest means higher returns you are entitled to get on your investments. A good backup: If you have the option of coming back and settling down in India, then making investments in the Indian stock market gives you a good financial backup. This would reap you good yields especially when you would return back to India. Taxation on the capital gains: With long-term capital gains being tax-free up to Rs1 lakh and then taxed at 10% for a financial year, and short-term capital gains being taxed at 15% it is beneficial for the investor in terms of the tax benefits they receive. Such benefits are generally not seen in other stock markets of the world. Currency factor: As most of the developed countries have higher currency denominations than Indian Rupee even smaller investments, when made in terms of Rupee in the Indian stock market, will be higher in amount. This will surely result in high long-term returns. Diversity in terms of available options: You get a wide range of investment options in the Indian stock market, which you could choose from based on your requirements. Government or corporate bonds, direct equities, ETFs (Exchange Traded Funds), mutual funds, options, futures, securities, etc. are a few options you could invest in. With the above benefits, investing in the Indian stock market is a good investment option for the NRIs who are looking to park their surplus funds to ensure a financially secured future.